See what our customers have to say about our Dog Training services and Our Passion for ensuring that Your Pet has a healthy home life along with You and Your Family. I cant say enough good things about this company. Lets start with my first call... read moreI cant say enough good things about this company. Lets start with my first call with Jessica Freedman, Owner. She was so nice and talked to me about my issues or what I would like to come out of training my 12 week old puppy. She explained the consult process and the next day we had Nicki (our trainer) at our home for the consult. What I really loved about the training is that all the sessions was at our home. In our puppys element! She got to see when she would run around and nip us and all! I cant believe how amazing she is now! we chose the 7 session package with working to the E collar. During our consult the trainer showed us the "e collar" and honestly first thing I thought of it was scary and there was no way she is going to train my puppy. BUT!!!! she explained everything! I mean seriously my learning experience started at the consult! After feeling the "e Collar" for myself and my husband feeling it. I knew this was what we needed for our puppy. We are now done with our 7th session. 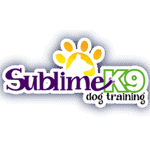 She is now a Sublime K9 Graduate! My now 5 month old puppy can SIT, STAY, LAY DOWN, COME, and go to her PLACE whenever we want her to!. Besides the little commands "leave it" when she goes to take something or "off" when she is on a couch. (which is allows on only if she is invited). 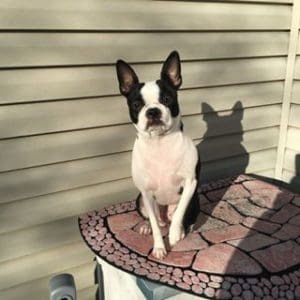 Long Island Dog Training F.A.Q.